It’s October, the Halloween season and time for another spooky topic on my site. If you were a kid, growing up in the 1990’s and loved Halloween or stories of horror/anthology, than you had to be a fan of “Goosebumps”. It was a big part of the 90’s, and one of the most memorable forms of entertainment from my childhood. It was created and authored by R.L. Stine. Now just a quick side note, but for the longest time, I was always under the impression that he was the brother of actor Ben Stein. They both look very similar, both have the same monotone voice and both have the same last name, although they’re both spelled differently, but still it always made me wonder if there was some kind of connection. Getting back on track, R. L. Stine, is often labeled as the "Stephen King of Children's literature," and is the author of various horror fiction novels, including the books in the “Rotten School”, “Mostly Ghostly”, “The Nightmare Room”, and “Fear Street” series. Goosebumps was arguably his most popular, and absolutely my personal favorite. Instead of sticking to one context, like a T.V. 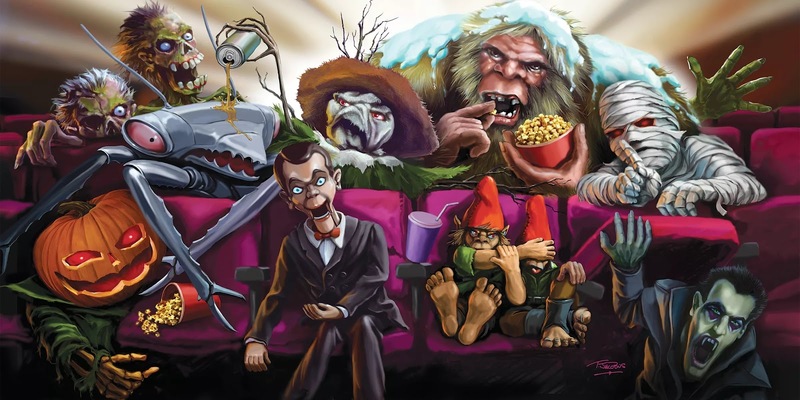 show or movie, I’m going to look over “Goosebumps” in general, express my feels on favorite books, or episodes from the show and look back on the overall impact this series left on my generation. 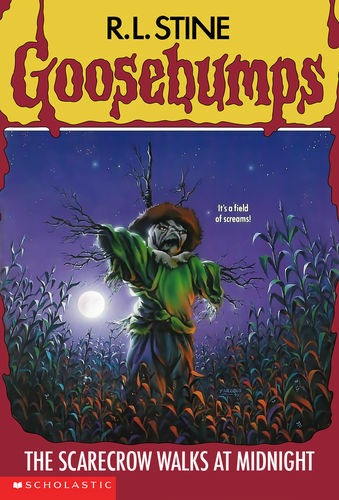 There were 64 original books, and various other “Goosebumps” related book series that have continued through the new millennium. There was also the wildly popular T.V. show that ran for 4 seasons on Fox Kids. The success of the franchise has sense lead to fan clubs, board game adaptations, video game adaptations, and even a short-lived live stage show in 1998, which I regrettably never saw, but the advertisements looked amazing. 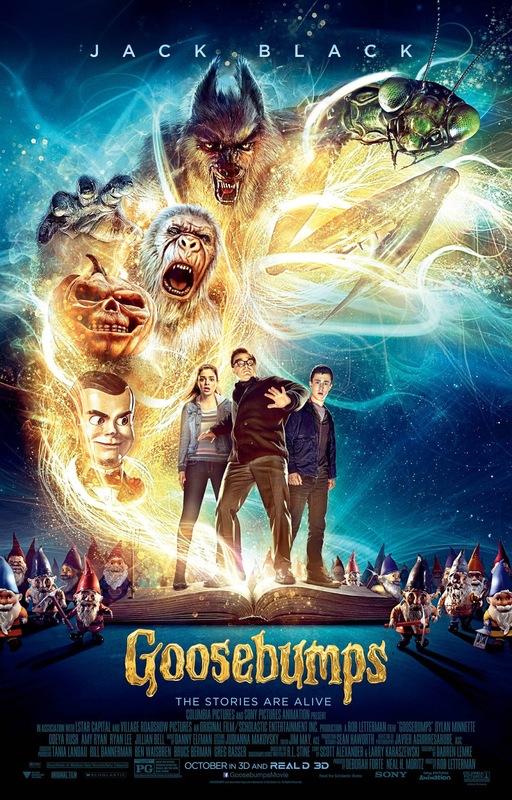 All these years later, the popularity of “Goosebumps” has led to two theatrical movies released in this decade. 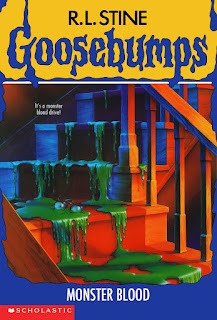 Needless to say, there’s a lot of content to “Goosebumps” that I could spend all day talking about, but I’ll do my best to just stick to the details that left an impact on my childhood. Naturally, the best place to start is with the book series itself. Oh, I remember it so well … I was just starting 2nd grade, and it was my first trip to the library. In plain view on display of one of the shelves was a collection of these books, and I was hooked from the second I looked at the front covers. The illustrations drew me in immediately, and I had to know what the stories were behind these pictures. There was so much detail in the illustrations and I always found myself asking questions that had to be answered. They triggered my imagination, and I always had fun thinking of what these were about. On every cover there was a goofy tagline like “It’s a field of screams” or “It’s a real dead end”, which was another spooky charm in of itself. Even those cheesy titles had a slightly intimidating edge that got me excited. The first two books I read were “The Scarecrow Walks at Midnight” and “Welcome to Camp Nightmare”. I immediately became a fan and I knew in my mind “I was going to read all of these”. This was my transition from reading little picture books to slightly more mature chapter books. Eventually, I stopped borrowing them from the library and began my own collection of “Goosebumps” books. There were two key elements to these tales that both made them exciting and gave the series an identity. The first thing I took note of were the locations, as the majority of the book’s protagonists are often situated in an area, or living space that’s very alienating from what their familiar with. This can be as simplistic as visiting unfamiliar relative’s home, isolated campsites, or moving into a new home that’s set in a quiet neighborhood. Either way, despite the outward appearance, there’s always something in the air that just doesn’t feel right about where our characters are going. This was before the advent of cell phones, so not being in contact was another was a strength to the series. It always put me in the characters shoes, and it always made me feel like I was part of the adventure. Yet another strength to these books were how every chapter ended on a cliff hanger, so I never wanted to put the book down. The second thing I always loved about these books were the twist endings. Half the time I couldn’t make it past the third chapter without guessing as to what the big twist was going to be. 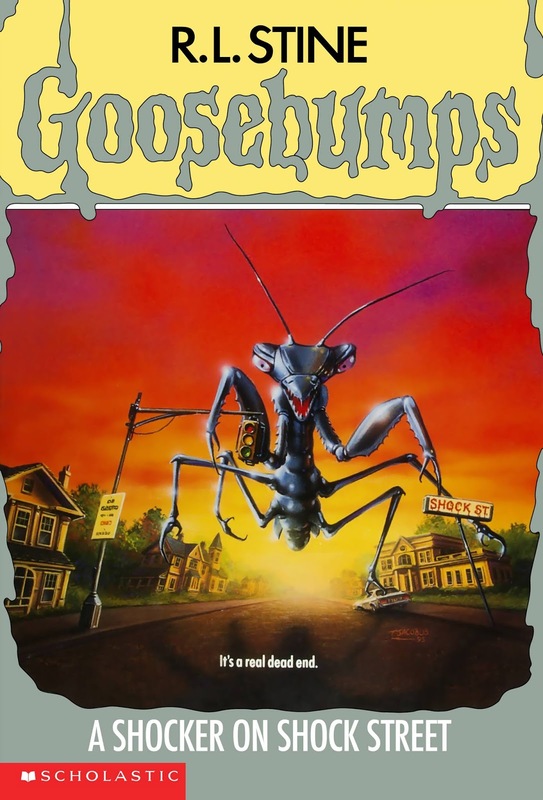 Similar to the format of television shows like “The Outer Limits” and “The Twilight Zone”, “Goosebumps” was all about playing with expectations, some of which paid off, while some others were admittedly disappointing. Before I get too ahead of myself, I should mention the mascot for the “Goosebumps” series, a skeleton named “Curly”, who had hair and glasses that resembled R.L. Stine. 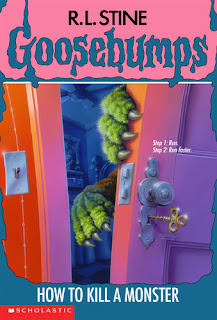 Curly never appeared in any of the books, but he was always marketed alongside every line of Goosebumps merchandise. Several of the creatures and characters became very popular among fans. 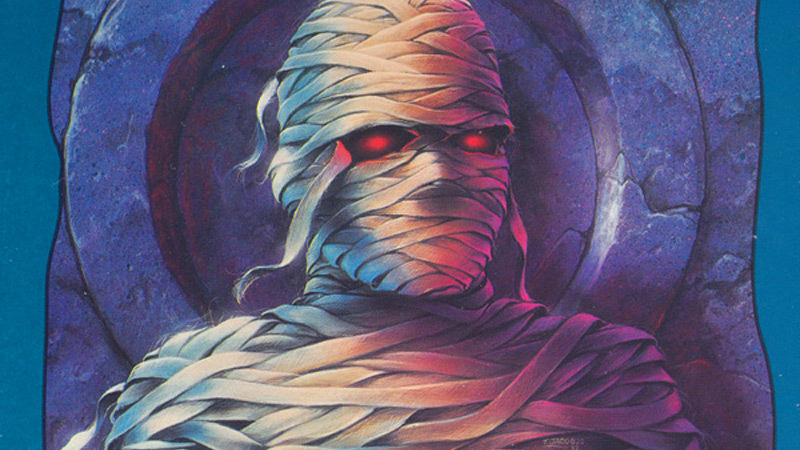 The Mummy from the book “Curse of the Mummy’s Tomb” became one of the more popular of his monsters, and one that frequently returned in other tales. The characters Lizzy and Luke Morris from “One Day at Horrorland” became the most popular of the human characters, and had their own spin off series created by R.L. Stine. The most popular character of them all of course was the Dummy character named Slappy. 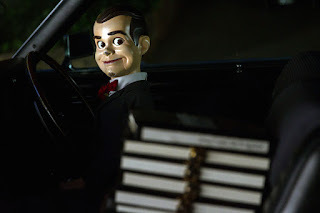 The dummy series began with book #7 “Night of the Living Dummy”, but Slappy didn’t make his first appearance until the sequel, “Night of the living Dummy 2”. 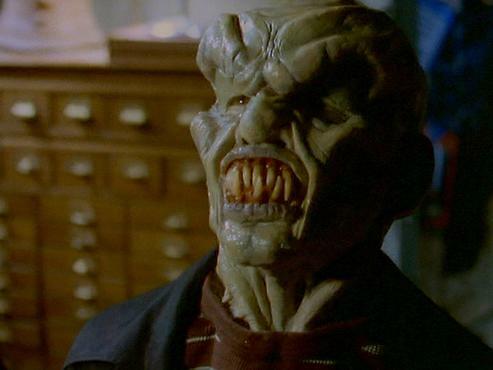 In a nut-shell, you could actually call him the “Jason Voorhees” of “Goosebumps” characters. There were two more living dummy sequels, and when the millennium series came out there was “Bride of the Dummy” and several others that followed. Further sequels would put Slappy’s name in the title, like “Slappy’s nightmare”, “Slappy’s curse” and the list goes on and on. Of course, Slappy would also become the main villain of the theatrical film series. Why this dummy became so popular is beyond me, but he’s even surpassed the initial mascot, as even fans seem to have forgotten all about the skeleton Curly. 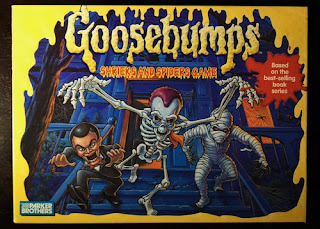 I remember way back when I was a kid, I owned a Goosebumps board game that prominently featured the three main monsters, Curly, Slappy and the Mummy. 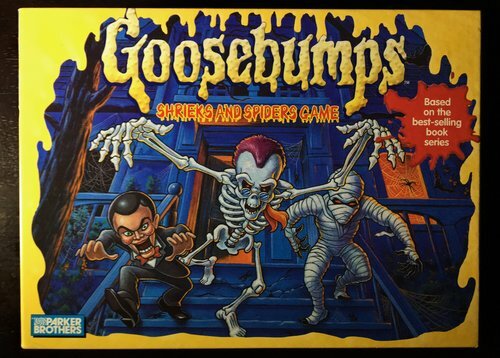 It was a terrible game that made no sense, but I didn’t care, it was “Goosebumps”, and that’s all that mattered. Now let’s shift direction to the campy T.V. show in all its glory. The series ran for four seasons on Fox kids, and the cast would change with each episode. It was definitely special for its time but very corny to look back on as an adult. Still, weather the show has actually aged or not, it’s still something special to me that I fondly look back on. The show begins with honestly one of my all-time favorite openings ever. It starts with a man dressed in black carrying his briefcase up a hill. The name engraved on the briefcase reveals the mysterious man to be author R.L. Stine himself. 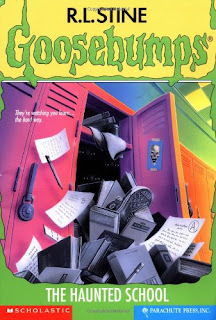 Suddenly, a strong wind blows, Stine's case opens, and his papers fly out, and one of them morphs into a shadow resembling the "G" seen on the “Goosebumps” logo. The theme music is outstanding, almost like a cross between Hip Hop music and the score from the 1978 movie “Halloween”. The shadowy "G" then distorts everything it passes by, and eventually makes its way to the front door of a house, which then segues into a clip montage. It’s so cool, and I always had to identify what episode each clip came from. 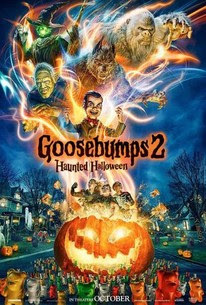 While the clips role, we hear an announcer growling "Goosebumps...viewer beware, you're in for a scare", copied from the tagline, "Reader beware, you're in for a scare". 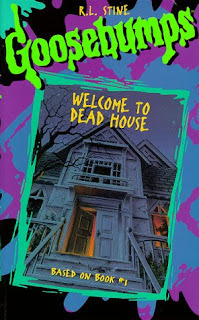 R. L Stine frequently appeared as a host, and his dead pan acting somehow added its own charm to the show. Now unlike other beloved shows from child hood, I didn’t watch “Goosebumps” regularly on T.V., instead I rented them on home video from my local video store ... boy, those were the days. Mush like the books, I found myself eventually collecting episodes on home video, although the ladder collection didn’t even come close to matching the former. Still most of the charm and appeal of the books carried over to the show, and it was just the right amount of spooky, but never actually scary, … well, with some exceptions. Of course, it’s the Halloween season, so I have to single out the Halloween themed episodes. The very first episode I ever saw of the show was “The Haunted Mask”, which is already one of the most popular “Goosebumps” tales. This spooky outing revolves around a girl who’s extremely easy to scare, and is constantly being picked by both family members and kids at school. Thus, when Halloween comes around she decides to get the scariest mask possible and exact her revenge. She’s gets more then she bargained for when she puts on a cursed mask, that becomes attached to her face and transforms her into a living monster. 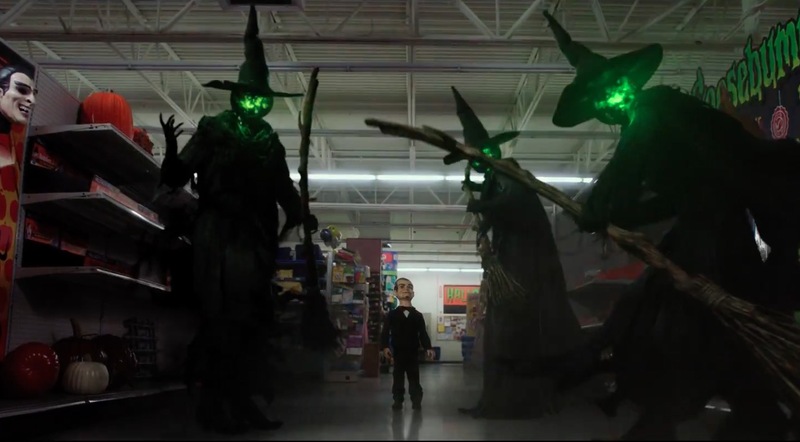 It’s just a classic “Goosebumps” venture, with a memorable center villain, and it has a great premise to go along with the Halloween season. 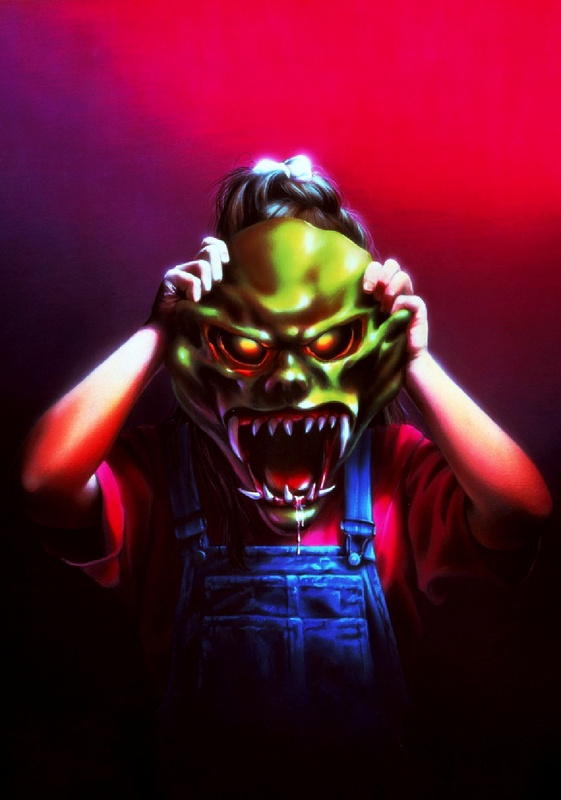 There was a sequel titled “The Haunted Mask 2”, which in many respects was even better. This time the focus was on one of the bullies from the previous episode, trying to get even with our female lead. He too finds the costume shop full of evil masks, puts on a frightening new face, and becomes a servant to the villain from the first episode. The big difference this time is that our victim is slowly getting older, and the mask will slowly drain his life away. So, the stakes are higher, the characters are developed further and it makes for another terrific Halloween theme episode. 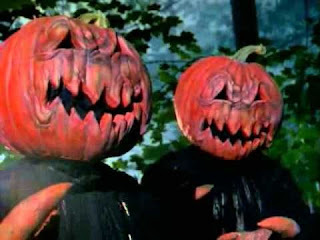 Then perhaps the most Halloween centered episode of all is “Attack of the Killer Jack O’ Lanterns”. 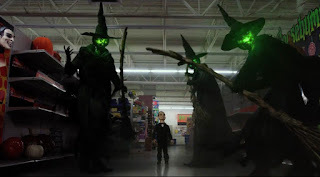 This episode got me scared to go Trick R’ Treating, all because of this one nightmare scene in which several Trick R’ Treaters are locked in the basement of these two creepy adults who are hell bent on collecting kids. The actual plot of this episode revolves around these mysterious pumpkin-headed creatures that take a group of kids to a secret place where their forced Trick R’ Treat for the rest of their lives. 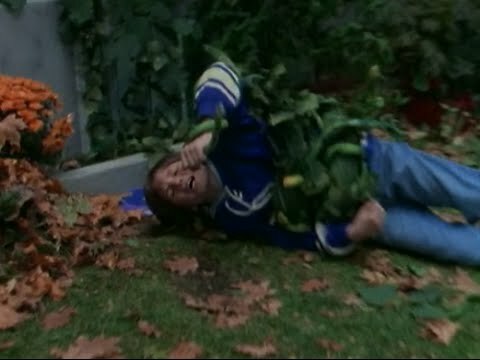 Back when I was a child, I loved Halloween so much that I never wanted it to end, and this episode cleverly establishes why it’s bad to have too much of a good thing. 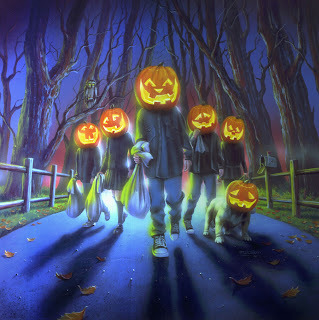 Also, the pumpkin heads turn out to be aliens that come down to earth to eat the select kids that have consumed the most candy … talk about a twist on top of a twist. 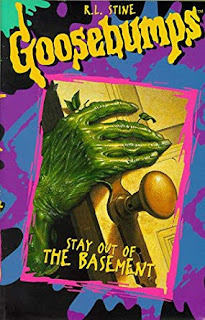 I could probably fill the rest of this post talking endlessly about individual books and episodes, but to keep this simple, I’ll just quickly round up my own personal Top 10 favorite “Goosebumps” tales, and highlight weather their impact came from either the books or the show. This was the longest running continuity of tales among the original 64 books, and they became instant favorites. The premise for these stories revolves around a boy who discovers a mysterious green goo that slowly grows in size when it comes into contact with surrounding objects. It’s very similar in spirit to the 1958 Sci-Fi “The Blob”, but the difference is that the premise doesn’t stop with the slime itself growing. 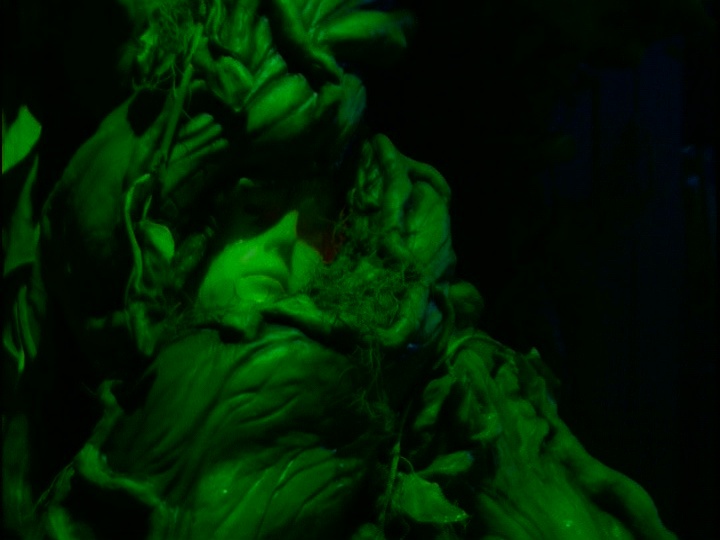 Further “Monster Blood” sequels revolved around other creatures or even people growing is size after consuming the nasty green substance itself. Then in the final sequel, the slime took on a new form, as a self-replicating monster with eyeballs and razor-sharp teeth. Needless to say, “Monster Blood” had quiet the durable premise, even feature a strong cast of reoccurring human characters and featured one of the franchises best creatures. 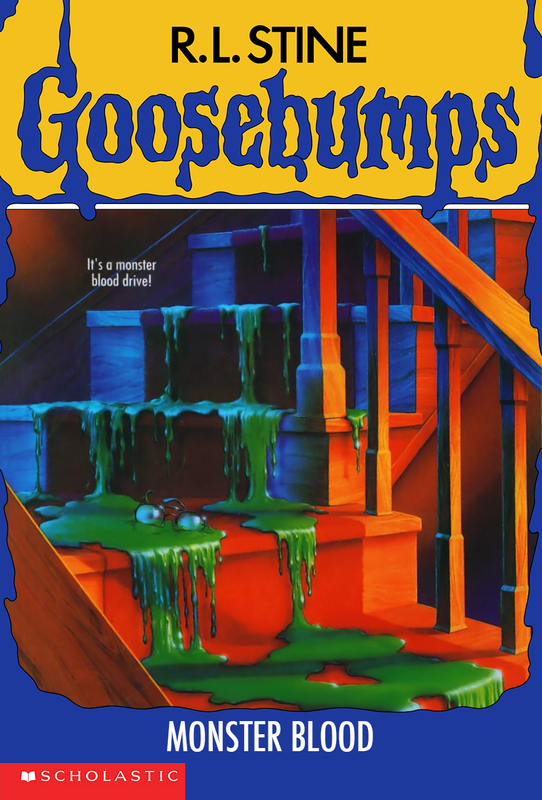 This marks the very first “Goosebumps” book I ever read, and thus it’s very nostalgic for starting it all. It also introduced my family to the concept of chocolate chip pancakes, and breakfast was never the same for us after that. The premise revolves around two kids visiting their grandparents farm, and while everything seems sunny and cheerful at first, things take a sudden frightening turn when the sun goes down, and their creepy collection of scarecrows come to life. This is a very mysterious tale with lots of atmosphere, and it features some of the best monsters of the series. Any kid who’s either lived or at least stayed at a farm overnight has probably been spooked by scarecrows at least once, because while their useful, there’s unmistakably something intimidating about seeing their motionless forms in corn fields. 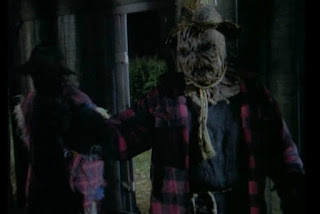 This story takes full advantage of what can be done with a concept as simple yet effective as Scarecrows coming to life, making it an easy favorite. This book revolved around a pair of siblings visiting their shady grandparents, and who just happen to live in the middle of no-where. Already it’s the classic set-up, and the premise is brilliant in its simplicity. Turns out that the grandparents are keeping secrets from their kids, the biggest being a ferocious monster that’s trapped in the basement. 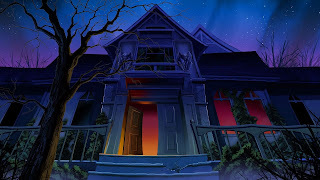 Through a series of events, the two kids accidentally release the monster, and find themselves trapped in a boarded-up house after being abandoned by their guardians. Now the chase is on, as the two kids utilize all their creativity to find a way to kill this monster before it puts them on the menu. It’s an exciting cat and mouse game, and offers some cool scenarios in which our hero’s try to do away with the monster. 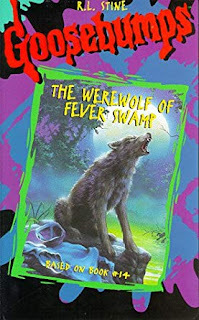 #7 "The Werewolf of Fever Swamp"
For every silly or goofy episode from the TV show, there was one that genuinely got me scared. "The Werewolf of Fever Swamp" is a perfect example and definitely makes my countdown thanks to the show as opposed to the book. This tale actually marked my very first introduction to Werewolf’s in general, and it’s always stuck with me as a personal favorite. When a young boy and his family reluctantly move to a swampy area, the boy makes two special friends that come in the form of a next-door neighbor and a stray dog that he takes on as a pet. Soon, his new pet is held responsible for several incidents and savage animal killings. So, in order to protect his new dog, the boy and his new neighbor friend set out to find the real culprit … only to discover that it’s a savage Werewolf. This episode has all the elements of a classic horror film, including fogy swamps, creepy woods, poorly lit homes, shadows casted on walls, eerie silent moments, and some terrifying shock scenes. 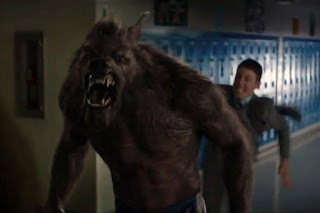 The Werewolf makeup is also quite good, at least by its cheesy T.V. standards. 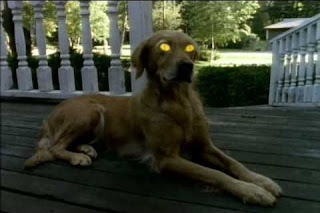 This episode left such an impact on me that even to this day, it’s one of the first things that comes to mind when I think of a perfect scary Werewolf story. 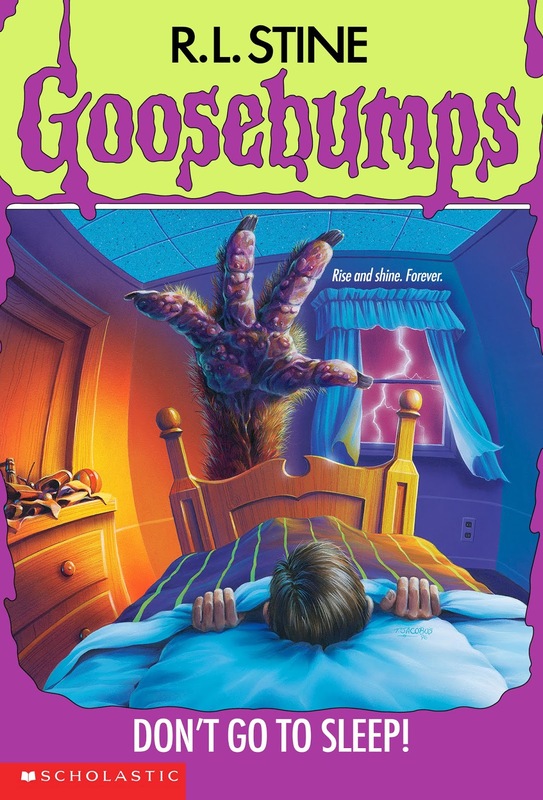 Both the book and TV episode are staples of my young “Goosebumps”, and it truth, I always found this to be the most frightening tale of all. This story revolves around a family moving into a small, quiet and vary mysterious little town that’s practically off the map. The beauty of this tale is that it plays on a child’s fear of strange new places and has terrific moments of things going bump in the night. 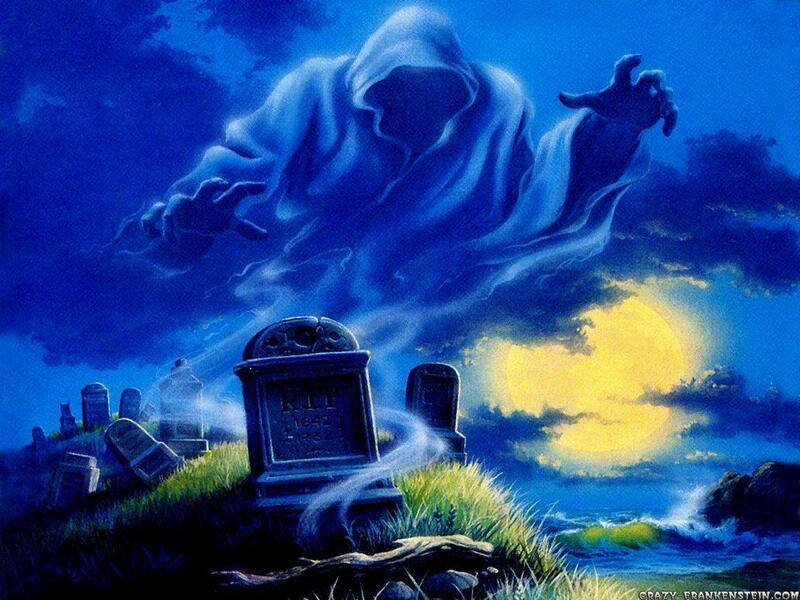 There’s also a lot of mystery that’s slowly being unraveled, and every new discovery leads to a frightening truth. Turns out that all inhabitants of this town are actually zombies, and they live by feeding off families leeward to the main house in the center of town. 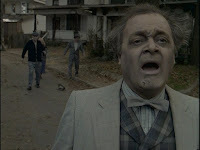 It’s further revealed that everyone in this city died from the radiation of an industrial factory that was destroyed. There’s a lot of great build up, and creepy atmospheric moments, like when the main girl wakes up at night and sees people walking around in the shadows of her house. The final act of this episode is like something from a classic zombie flick, with armies of dead attacking the house, hands are pressed against windows, the family tries to keep them back, but they just keep coming, and just when you think everyone is safe … something else happens. If the episode had a bigger budget and more filler, it could have been released in the theater as a true horror film. 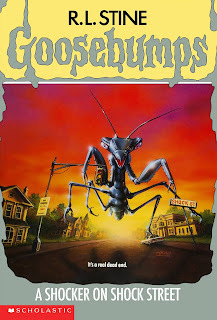 Of all the “Goosebumps” books I read, I think this one had the scariest cover by far. Just that image of those emotionless, shadowy, child-like eyes framed in a locker had my imagination rattling. The story revolves around a boy who’s just joined a new school and has met some interesting new classmates, some nicer then others. The school itself however is victim of a shady past is which several students vanished without a trace. While trying to evade a bully, the boy finds an abandoned elevator on a restricted floor and thinks it might be a safe place. The elevator turns out to be a one-way trip to a mysterious void, where all the disappeared kids have been trapped in an ageless limbo. To make matters worse, overly long exposure in the void make you one with it, to the point where you can no-longer live in the world outside. Truthfully, I grew up in a school with mysterious areas never explored, and always imagined that if I ventured in I’d never come back. It’s all around an effective premise, with a dark ending and one hell of a frightening cover to boot. Here’s yet another book that got my attention through an exciting cover, and it’s got quiet the exciting spooky venture to boot. It’s also another perfect example of building to a dark and unexpected twist ending. This tale revolves around two sisters whose father is a mechanic who creates theme park rides and monsters. It’s a dream come true when the girls finally get the chance to test-out one of his spooky rides, but of course something goes wrong. Things seem a bit too real, and it’s almost like the monsters are alive. The girls have no chose but to escape the ride, only to confront one monstrous obstacle after another. Now spoiler alert, but this is one case in which I have to address the twist ending. It’s eventually revealed that the two girls were actually robots created by their father, because he didn’t want to use humans as test subjects. The reason the monsters all seemed so real was because the monster robots and girls ran on the same radio frequency, and when the two intertwined it seemed like the girls were living a real horror movie. That was completely unexpected, but it makes sense, it fits right in place with the story and it was one of the phew twists to really catch me off guard. 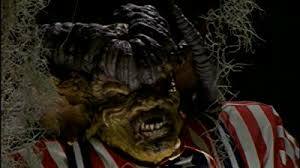 Of all the memorable settings in the “Goosebumps” universe, it was always the haunted theme park Horror Land that always stood out as my absolute favorite. 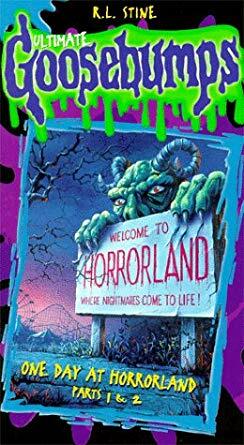 This tale revolves around a family trying to escape a haunted theme park that’s run by monsters. The episode was a perfect mix of cheesy moments and memorable creepy sequences. The rides featured in both the episode and book offered all kinds of exciting situations. Truthfully, I’ll always remember the episode best for going full comedy, when the family discover that the monsters are hosting a goofy reality TV show of sorts. However, it still had some memorable creepy moments, including the main boy trapped in a coffin with a spider, and the main girl trapped in a house of mirrors with the walls slowly closing in on her. 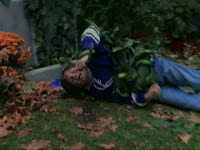 The episode also featured one of the most shocking twist endings, and even the fate of the family is left unresolved. Now here’s one of the lesser appreciated titles in the series, and while it truthfully doesn’t come close to the excitement of the front cover, I feel that this one has a different strength. This tale revolves around a boy fed up with his cramp little bed room, and beyond that is just plain unhappy with the state of his life. One night, he decides to abandon his room in favor of sleeping in a bigger room, which he’s been restricted from entering. The next morning, he awakens to find himself a new man … a grown one, with a completely different life. Then after he goes asleep the next night, he wakes up again as someone different and new. 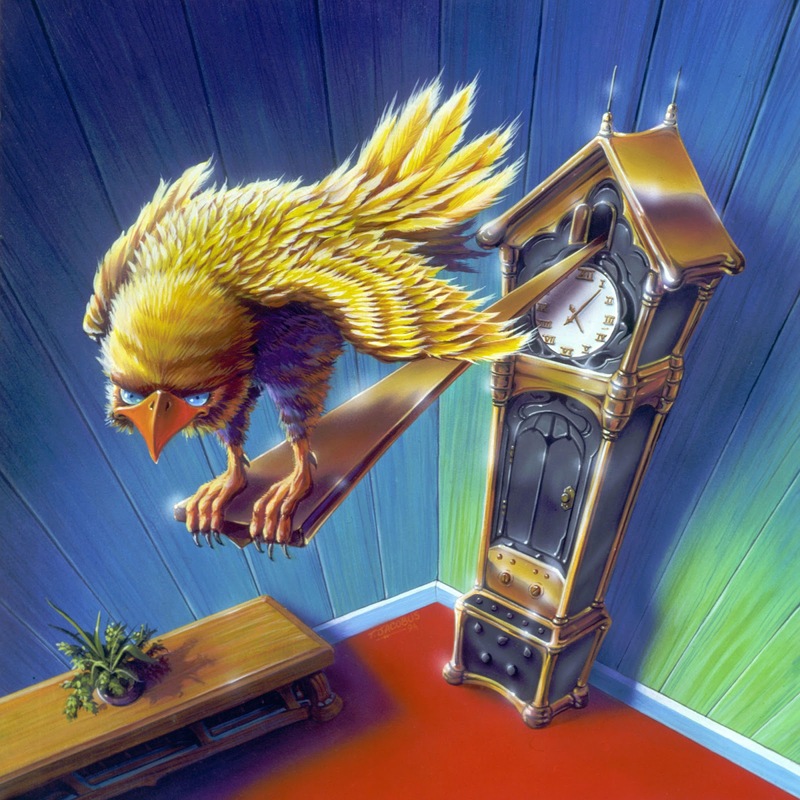 In some cases, he wakes up either in a different location and in other cases he awakens as a completely different creature. More to the point, sleeping in that room cursed him, now every time he falls asleep, he wakes up to a new life, each worse than the next. As if the situation wasn’t bad enough, three mysterious teens are aware of his changing, and aim to put him to sleep permanently in order to prevent him from ever changing the world around them again. The message of appreciating the life you have is obvious, but beyond that, this is just a plain awesome premise, with lots of creativity, lots of excitement and lots of imagination. This easily stands as one of the best and most frightening in the series. 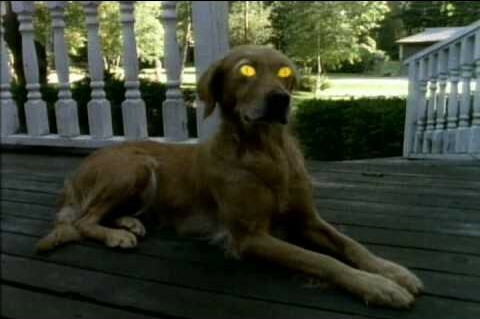 The episode from the TV show has always stuck with me as a classic, and it’s always the first story that comes to mind when I think “Goosebumps”. It’s about a dad who did secret experiments in the basement, which in turn get his two kids nervous. Soon, monstrous sounds begin to lure the children down there, and the dad seems to have one bizarre secret after another. As more and more oddities unfold, the two-go venturing down into the basement to unravel the truth of their mysterious father. This episode has great camera work, an effectively haunting mood, and the constant sounds of thunder and lightning really help build on the atmosphere. What makes this episode stand out as my personal favorite is that it all the scares happen right at home as opposed to some far-off place, and it puts our hero’s in a frightening predicament where they can’t even trust their own parent. It’s an intriguing mystery that builds and builds with multiple twists, the acting is much better than usual and there’s even some exciting creature action. It’s an episode that just seems to have everything, it looks great, it boasts an eerie mood and like the best of the series … nothing is truly as it seems. 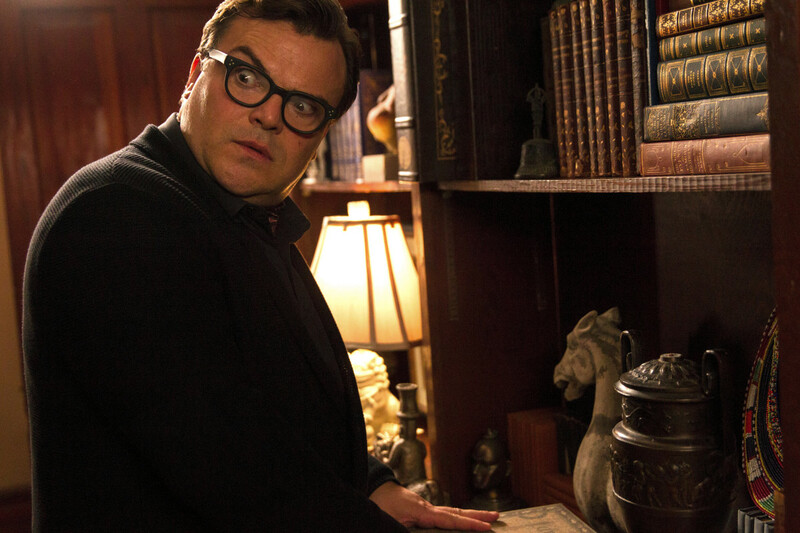 Now lets finally take a moment to talk about the theatrical 2015 movie simply titled “Goosebumps”. Back when I was just a kid, I always wanted a movie themed around this series, but unfortunately, kids can’t be kids forever, and I was well into my young adult years when this film came out. In short, I wasn’t exactly riding the fan train, but I was still open to seeing what the movie had to offer. In a clever move, the film focuses on R.L. Stine himself as the main character, and the story revolves around all his various creatures coming to life from the books he wrote. Jack Black plays R.L. Stine, and while his personality is nothing like the actual author, it still works with the films odd tone. The young teen cast was also likable and there’s even a decent sub plot involving a teenage girl who’s secretly one of R.L. Stine’s book characters brought to life just like the monsters. 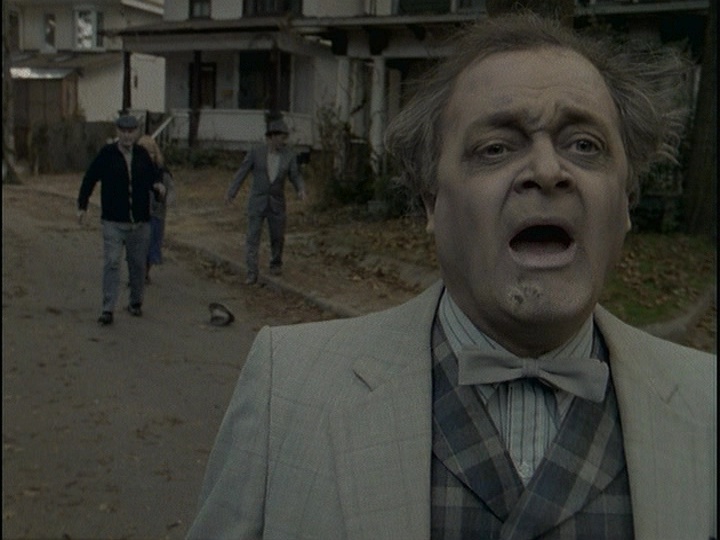 Slappy the dummy of course takes the rain as the main villain, and he absolutely shines as the best part of the film. His relationship with R.L. 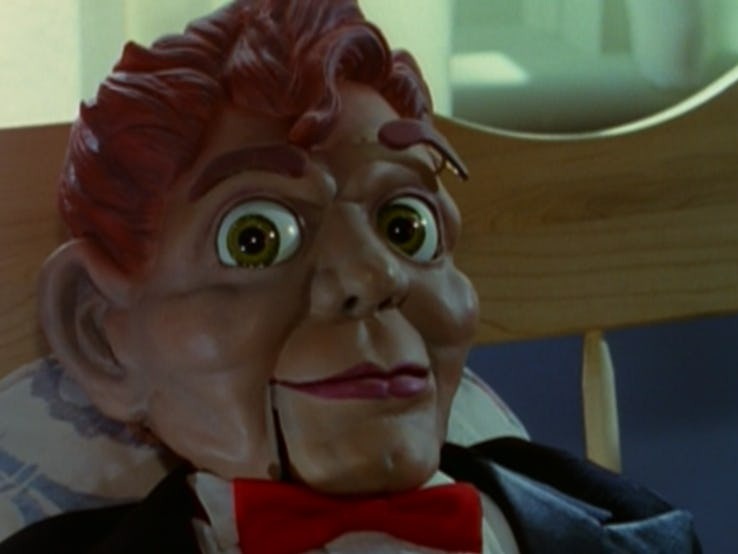 Stine worked right in with the personality of the character, and it was quit chilling to hear Slappy address his creator as papa, heck it was serial just to hear him address the title “Goosebumps”. Beyond that, this made for a perfectly entertaining and fast paced monster movie for kids, and a nostalgic call back to us young adults who grew up with the series. I didn’t think it was a great movie, or anything supper special as it was all very one-note, but still it was just special enough and may be just the thing to introduce a new generation of kids to the series. October 2018 marked the premier of its theatrical sequel “Goosebumps 2: Haunted Halloween”, which wasn’t as successful at either the box office or with the critical reception, but I actually found myself liking this one a little more than its predecessor. The plot is no different from the first film, as it once again revolves around the evil dummy Slappy unleashing various monsters from R.L. Steins books, which all run amuck in a small town, and a group of kid’s band together to set things right. The only difference is that this one is set on Halloween night, and is largely decorated in the holiday. 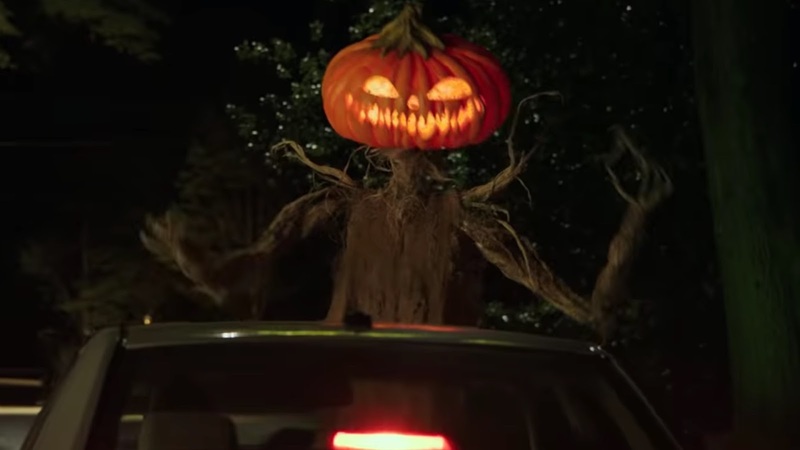 All the monsters on display have a distinct Halloween look and design, and the decorative feel of the film dose a better job putting me in the mood for the holiday then before. Slappy is also given a lot more screen time, which is great sense he was the best thing about the first movie. I also felt that this one was passed better, the story took a little more time to unfold, and the lead character had a story that was easier to relate to. So, if I had to choose between the two films, why not go with the one that has more Halloween on display, and features more of the entertaining main villain. 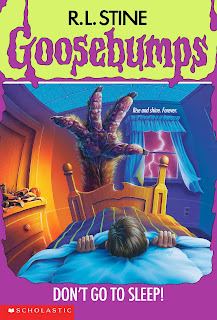 I was truthfully getting worried that “Goosebumps” was just going to be written off as a piece of 90’s pop culture for kids, but thankfully there’s still new books that come out every year, and the success of the movies proves that they can thrive for a new generation of fans to come. 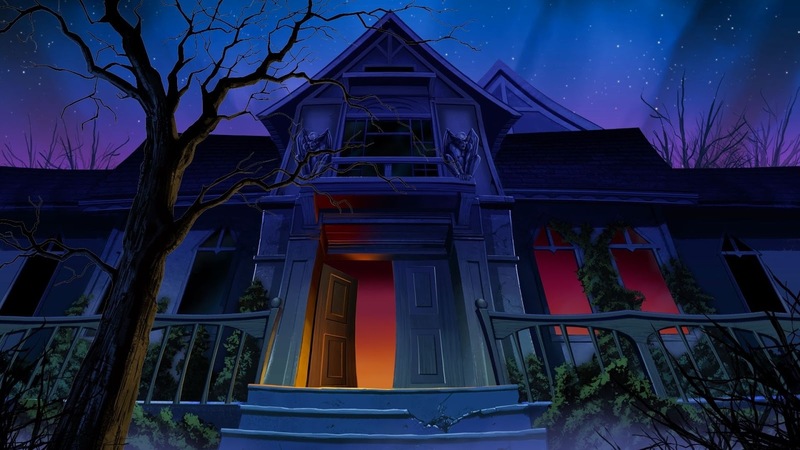 More than just a fun, spooky series, “Goosebumps” was something that stimulated my imagination, and made me think out of the box. I can actually see these books becoming influences on children who may one day aspire to be creative and imaginative authors. This was the book series that got me reading on my own as a kid, so it’ll always have a special place in my own personal development, and I hope the series continues to excite kids of a new generation. What a great series of both books, tv shows, movies and as always, … “may we readers and viewers beware, we might just be in for a scare”. 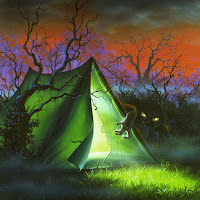 Nice Blog for Horror Movie Lovers.